One of the greatest failings of the Star Wars Prequel Trilogy is the fact that it serves as a terrible prequel to the original films. In fact, it almost seems like George Lucas didn’t intend for it to lead into the Original Trilogy at all, with a handful of half-assed explanations hastily whacked on to the end of Revenge of the Sith. 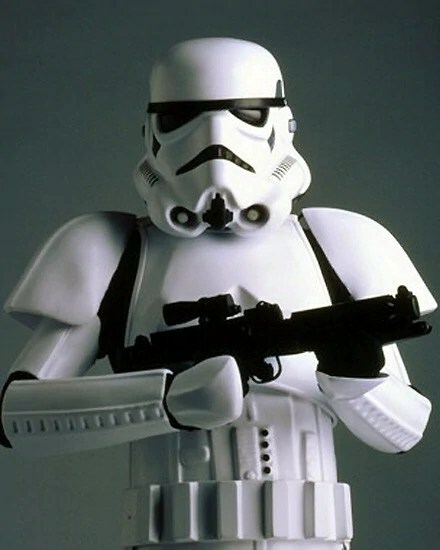 1) “Magnificent, aren’t they.” – The Imperial Stormtroopers in the Original Trilogy were the bumbling, idiotic soldiers of the Galactic Empire, unable to hit a target even at close range. In the prequels, however, it is established that this army is a later version of the vast Clone Army created to protect the Galactic Republic. 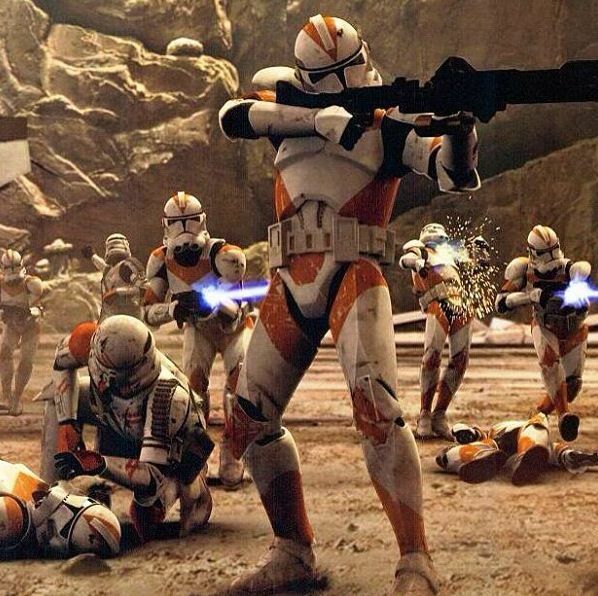 Unlike the later Stormtroopers, these troops were elite warriors, cloned from the ruthless bounty hunter, Jango Fett. Perhaps most notable is the ease at which they are able to gun down Jedi, who they murder in huge numbers following the issue of Order 66 by Chancellor Palpatine. However, by the time the original films roll round, these deadly killers are replaced with non-clone (contrary to what some believe) recruits that are taken from the general population. So why the change? Are we really expected to believe that a Galaxy-wide empire that has its citizens in a vice-like grip couldn’t afford to create more of those specially-trained bad motherfuckers? It makes one question why Lucas connected the two armies together. The similarities in armour suggest that the two armies are comparable to one another. But it is clear that the clumsy head-bangers are not on par with the old forces. 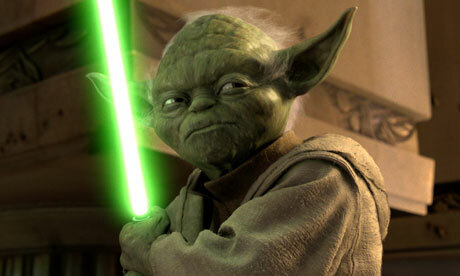 2) “Always two, there are. No more, no less.” – In The Empire Strikes Back, Darth Vader conspires with the Emperor to turn Luke to the Dark Side, suggesting that they’ll all have a dandy time as an awesome bad-guy triumvirate. 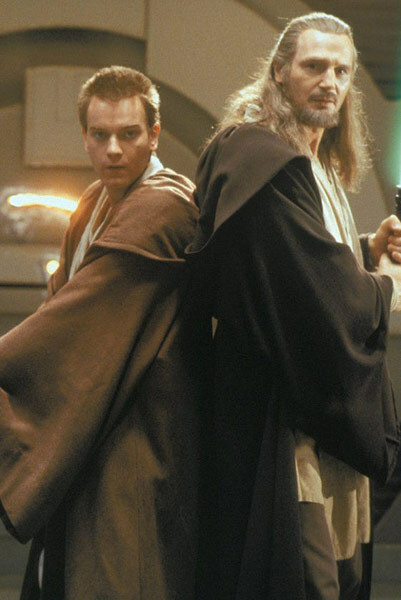 That was before The Phantom Menace established the Rule of Two, which basically means that there can only be two Sith Lords at a time (otherwise the films would get too exciting). The paradigm of master and apprentice exists until the apprentice is ready to kill the master, and take an apprentice of his own. Why then, does Vader tell his master, “He will join us, or die”? I know that by Return of the Jedi, the Emperor openly talks of Luke taking his father’s place, but in Empire they seem to have forgotten the very code they have sworn allegiance to. 3) “Look, your Worshipfulness…” – In the Original Trilogy, the brave Luke Skywalker and Han Solo rescue damsel-in-distress Princess Leia. Because of the overt adherence to old-timey mythology, nobody seems to question the fact that a princess is caught up in a galactic struggle against an evil Empire. 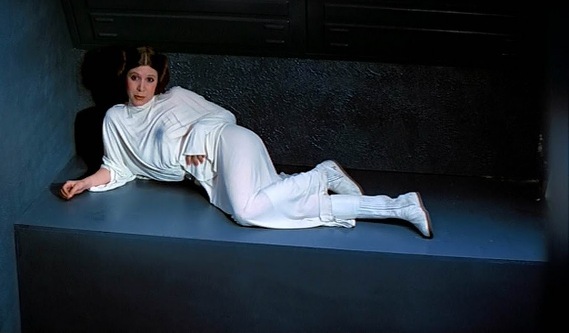 The Original Trilogy never even attempts to explain to us why Leia is a princess, or how she became one. She just is. The prequels, on the other hand, seem to attempt to draw a royal link between Princess Leia and her mother, the former Queen of Naboo, Padmé Amidala. Amidala, however, hadn’t been Queen for roughly a decade. 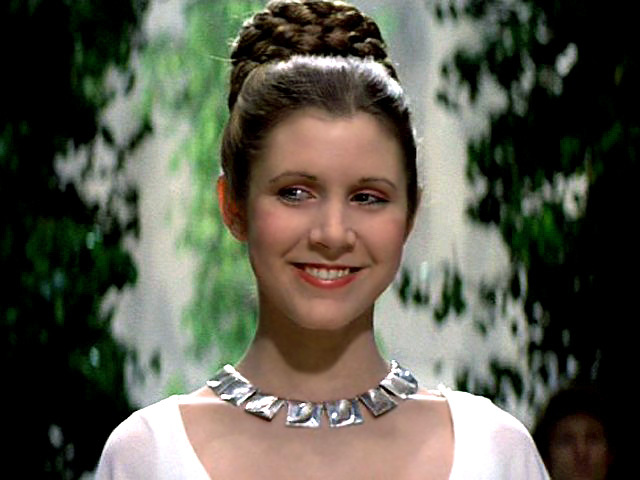 After poking around Wookieepedia, I discovered that Leia inherits her royal title from her adoptive mother, the Queen of Alderaan. This seems a bit fishy. Why would George make Leia’s biological mother a Queen, if not to establish her royalty? 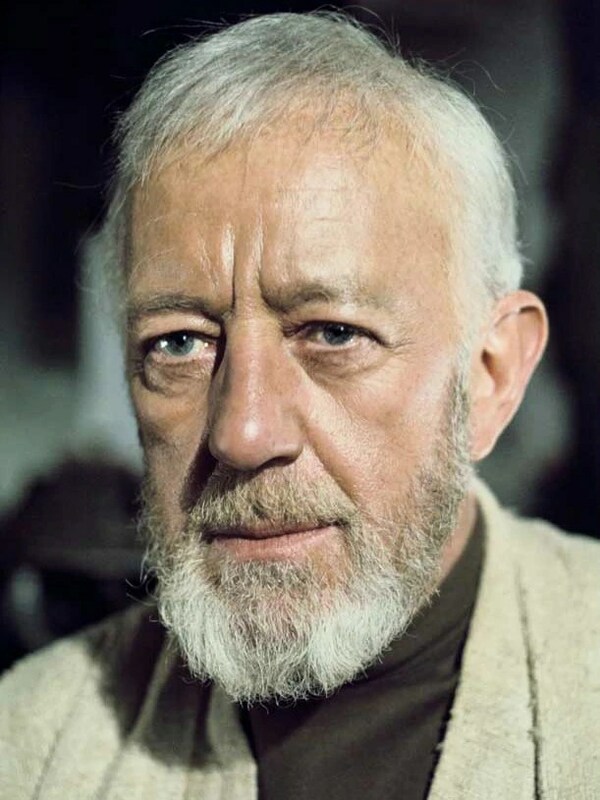 4) “Now that’s a name I’ve not heard for a long time.” – Obi-Wan really is crap at going into exile. 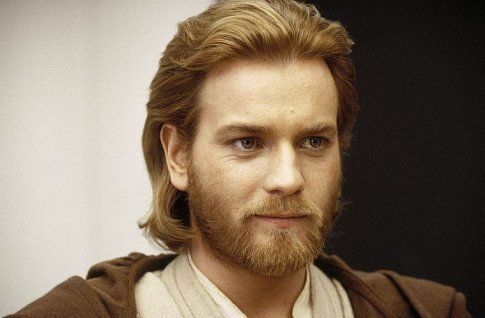 In the original film, he initially goes by the name of Ben Kenobi, which I always assumed he took up as a kind of nickname, (Jedi names can be hard to pronounce after all). Revenge of the Sith later establishes that Obi-Wan goes into hiding on Tatooine. But if this is the case, why not change your name completely, rather than just your first name. This is nothing compared to his negligence regarding Luke. He hides the boy on a moisture farm (which also happens to be the site of Vader’s mother’s grave, but he must have forgotten that by now), but fails to change his name. If Vader wanted to hunt down his long-lost offspring, all he need do is look in the phonebook and find the guy called Skywalker. 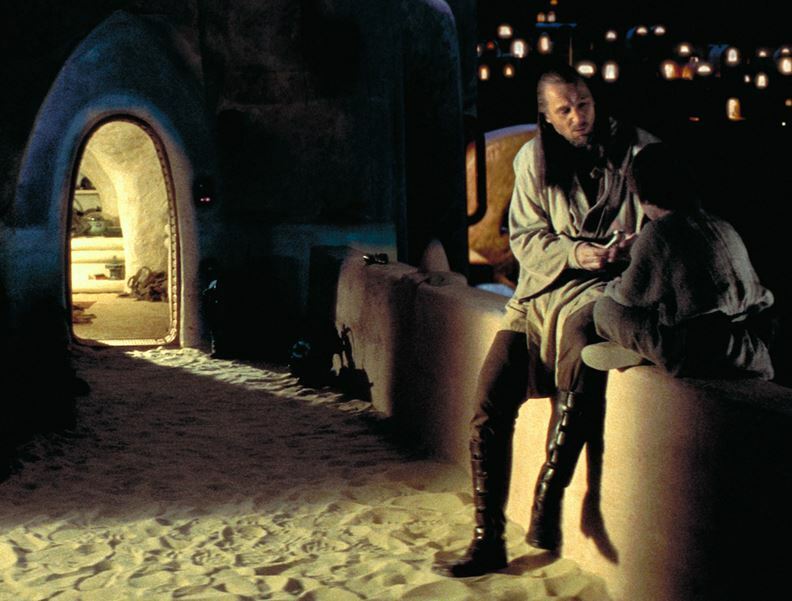 5) “Do you remember your mother, your real mother?” – This is one of the more glaring sins of the prequels. 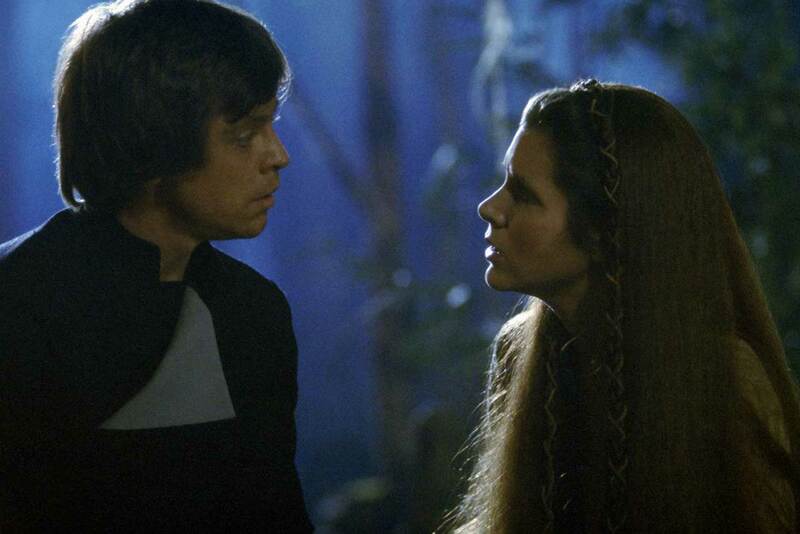 In Return of the Jedi, Luke asks whether Leia remembers her mother (specifically her real mother), after which she claims she does. But in the prequels we see that her mother died giving birth to the twins. Now I’m not a child psychologist, but I’ve never heard of anyone being able to remember their own birth (even if they are force-sensitive). 6) “What about that blue one?” – After being captured by Jawas, Artoo and Threepio are sold to Owen Lars, who doesn’t seem to notice anything familiar about them. But of course, in Attack of the Clones, we see that C-3PO lived with the Lars family after they bought Shmi as a slave. Surely he would remember a droid as whiny and annoying as that. Similarly, Obi-Wan doesn’t remember R2-D2, despite the fact that he was owned by his apprentice for years. He speaks to the droid on multiple occasions, and is often saved by the wiley astromech, so it would be an insult for him not to remember him. 7) “There you will learn from Yoda, the Jedi Master who instructed me.” – When Obi-Wan tells Luke to visit Yoda in The Empire Strikes Back, he refers to him as “the Jedi Master who instructed me”. 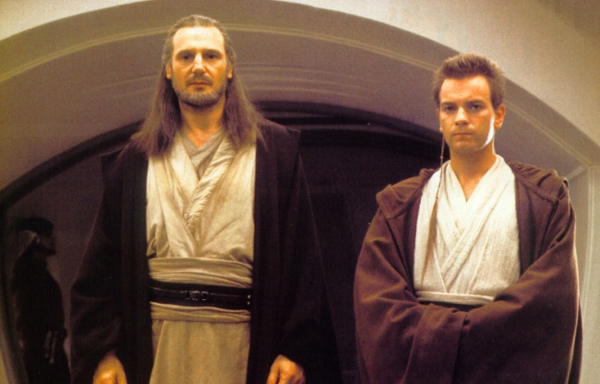 Yet in the prequels, we see that Obi-Wan was in fact taught by Qui-Gon. I know Obi-Wan did have dealings with Yoda, and probably went to him for advice, but I think “instructed” is a bit of a stretch. 8) “What are Midichlorians?” – Obi-Wan describes the Force as “an energy field created by all living things” which “surrounds us and penetrates us and binds the galaxy together”. But this description seems to be at odds with the explanation in The Phantom Menace, which shows us that the Force is actually just caused by microbes that live in annoying little boys. Not only does this seem to be incompatible with the idea of the Force as “an energy field”, but one would also think that if Midichlorians did exist, Obi-Wan would mention this when giving his zen explanation. 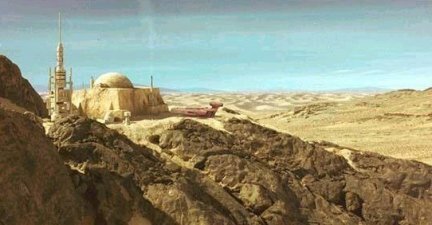 9) “To Tatooine, to his family send him.” – In the Original Trilogy, Luke lives with his Uncle Owen and Aunt Beru. 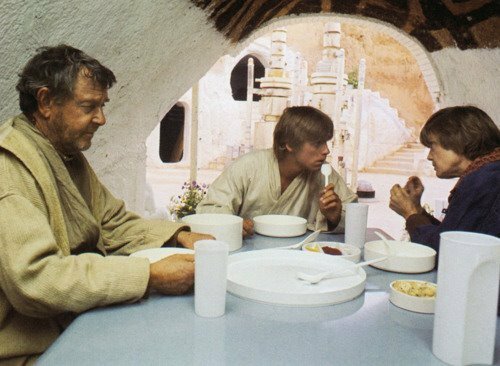 It is clear that the Lars family know Luke’s father, particularly as Beru points out that “he has too much of his father in him”. However, what appears to be a familial link turns out to be tenuous at best. Luke is the grandson of Owen Lars’ stepmother, which makes them unrelated biologically. Also, given that Anakin only visits the Lars family once (during which he makes a terrible first impression), Luke can hardly be seen as even vaguely related. Despite this, Master Yoda, one of the wisest beings in the universe, still refers to the Lars’ as ” his family”. I’m shocked that Yoda even knew who they were. Surely he was taking the piss when he suggested the boy was their responsibility. 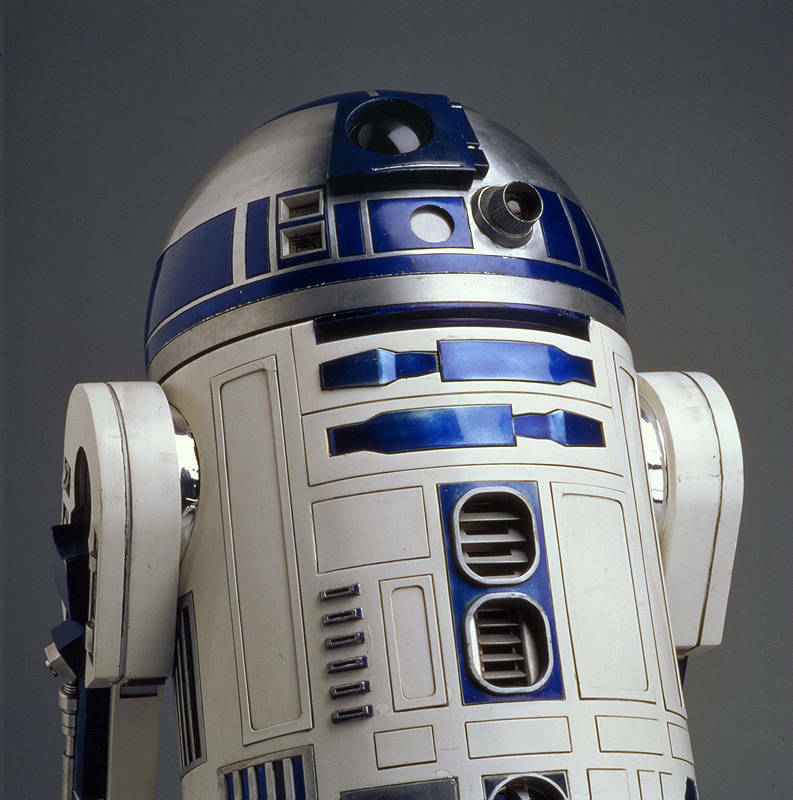 10) “You stupid little astro-droid.” – In the Original Trilogy, R2-D2 was little more than a walking dustbin (albeit a very smart one). 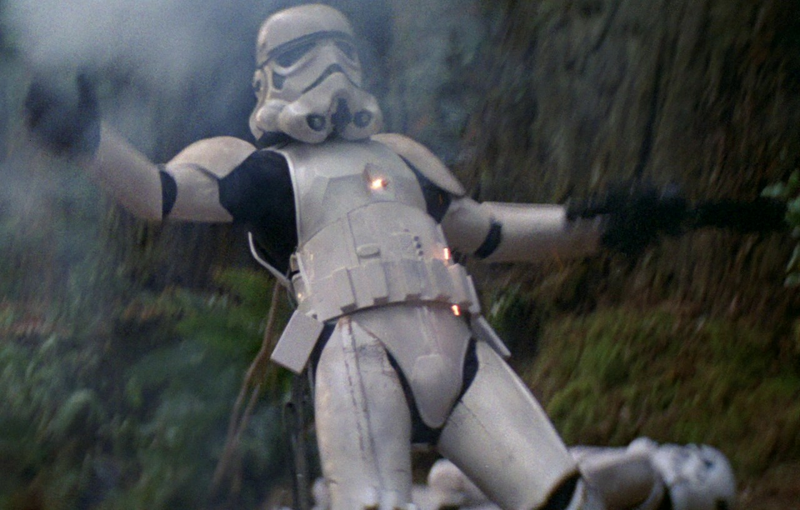 Sure he could fling a lightsaber into the air, or zap a weird monkey thing with his laser, but that was about it. In the prequels, however, Artoo is given one huge upgrade. He can fly. The ability to be able to maneuver like this is a great advantage, and yet he never uses this power at a later atage. Or at least, not until the super-duper mega-edition comes out. 11) “This is how liberty dies…” – In A New Hope, Tarkin announces the final liquidation of the Old Republic, and the total destruction of democracy within the galaxy. 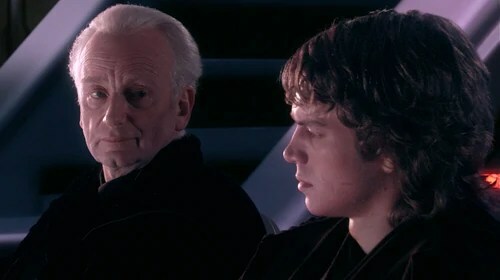 However, in Revenge of the Sith it seems like the Republic has already been washed away, with most of the senators applauding Palpatine’s sinister takeover. But the remark by Tarkin suggests that the Senate still had some ounce of decency left at the time of the original film, unlike what is shown in Sith to be a complete submission to the Emperor’s authority. Also, when Leia is captured by Vader, she claims that “the Imperial Senate will not sit still for this”, suggesting that the senators still have some amount of rational thought. It’s also worth noting that she herself is a senator, which doesn’t seem likely under the tightly-controlled Imperial Senate we see in Sith. 12) “No star system will dare oppose the Emperor now.” – In A New Hope, the Death Star appears to be relatively new. 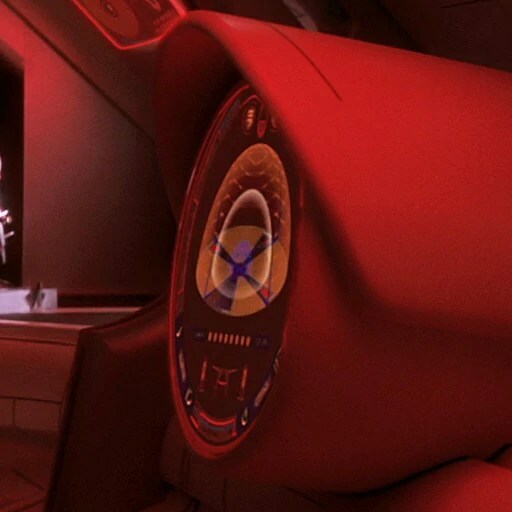 Its superlaser has yet to be tested, leaving Tarkin to demonstrate the facility’s destructive power for the first time by destroying the peaceful planet of Alderaan. But we see the Death Star being built at the end of Revenge of the Sith, almost two decades before the original film takes place. 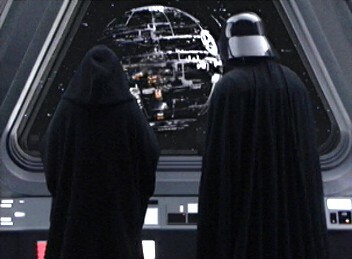 Given how quickly the Imperials manage to construct a “fully-armed and operational” Death Star II, we can only assume that it did not take the Empire twenty years to build their first battlestation. 13) “And he was a good friend.” – In A New Hope, Obi-Wan recalls that his apprentice, Anakin, was a so-called “good friend”. Ignoring the time they tried to kill each other on Mustafar, most of what we see of these two characters seems to be petty bickering. Or is that just friendly banter that got a bit out of hand? 14) “Was I any different when you taught me?” – After becoming frustrated by Luke’s impatience, he claims that the boy is “reckless”. Obi-Wan is quick to remind him that he himself was no different when studying under Yoda. Yet this seems to have no basis in the prequels. 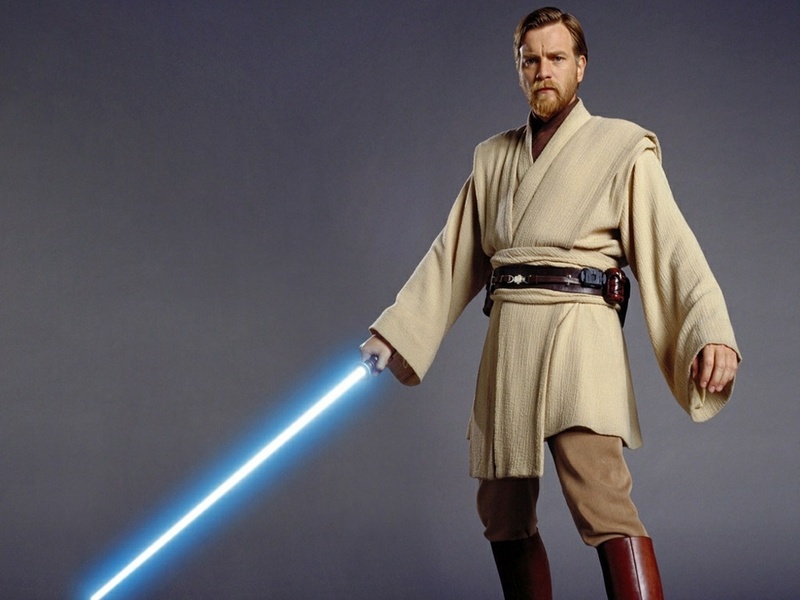 Obi-Wan is constantly calm and logical, in contrast to his “reckless” apprentice Anakin. 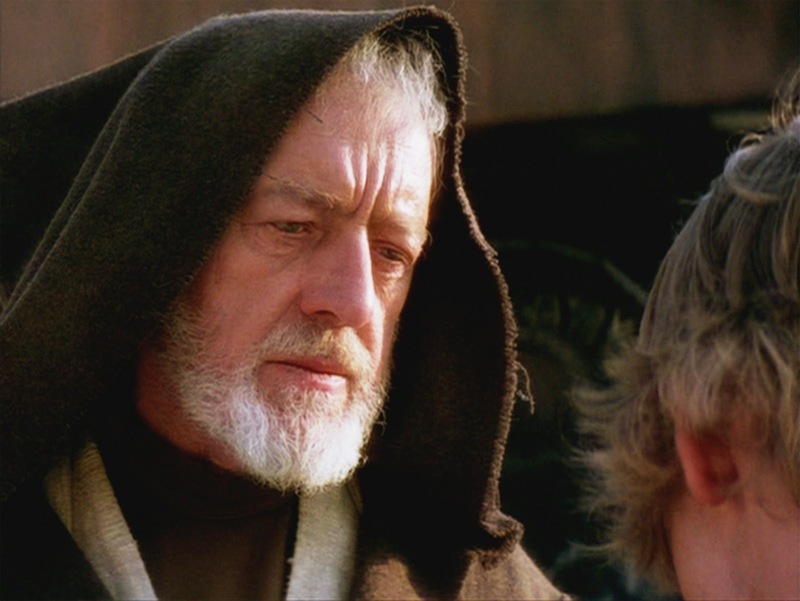 15) “I’m getting too old for this sort of thing.” – By the time of A New Hope, Obi-Wan Kenobi looks old. Between the two trilogies, nineteen years are supposed to have passed. But Obi-Wan seems to have aged by half a century at least. I know being betrayed by your apprentice and having to chop his limbs off would cause a few grey hairs, but jeez. 16) “For over a thousand generations the Jedi Knights were the guardians of peace and justice…” – During the Clone Wars, the Jedi were spread far across the galaxy, fighting battles on countless worlds and interacting with hundreds, if not thousands of different species and cultures. More importantly, perhaps, was their integral role in the Galactic Republic. The Jedi served as peacekeepers of the Republic, and often served as diplomats, as seen in The Phantom Menace. However, by the time of the originals, no-one seems to remember them. Han Solo describes Obi-Wan’s beliefs as a “hokey religion”, yet the Jedi were famous for their power and skill. 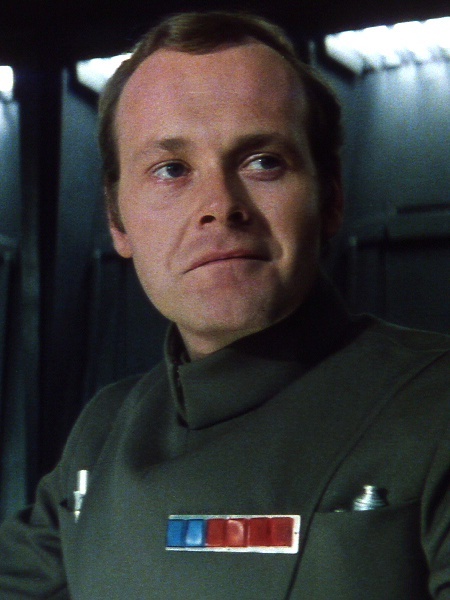 One of the officers aboard the Death Star makes a similar comment, calling Vader’s connection to the force as a “sad devotion to that ancient religion”, despite the fact that Force-wielders were common not too long ago. What makes this particularly odd is that, judging by how old the officer is, he almost certainly had dealings with Jedi before (give his high status it can be assumed that he has had a long career in either politics or the military, both of would have involved the Jedi). 17) “That boy is our last hope…” – This is another huge hole that really should have been noticed by somebody. When Luke leaves Dagobah to confront Vader on Cloud City, Obi-Wan describes him as “our last hope”, with only Yoda acknowledging the fact that “there is another”. But somehow Lucas forgot this, and had Obi-Wan be present at the birth of the twins. The previous assumption therefore no longer makes any sense, as Obi-Wan would have surely known that the female child could also have developed force powers. It makes no sense that she was not also part of the exiled Jedi’s master plan for defeating the Empire once and for all. 18) “Years ago you served my father…” – In the message recorded by Princess Leia, she asks Obi-Wan to help her father against the Empire: “Years ago you served my father in the Clone Wars”. 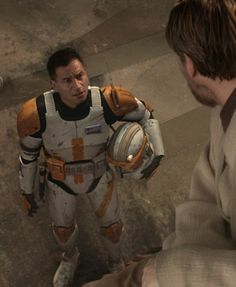 However, in the prequels we are never shown Obi-Wan interacting with Bail Organa besides the time he met with him following Order 66. It’s possible this “service” occurred in the period between Attack of the Clones and Revenge of the Sith, but we have to remember that these films are supposed to serve as prequels. Surely if you have both characters in the same films, the two should have the relationship as stated in the original film. 19) “If we work together, I know we can discover the secret.” – In Revenge of the Sith, it is revealed that Anakin fell to the Dark Side in order to attain the power to “cheat death”, and save his wife from the death he has prophesised. This seems to be an odd thing to say, and it feels strange to introduce the idea of them going off and looking for this power, given the fact that we know both of these characters are ultimately killed. 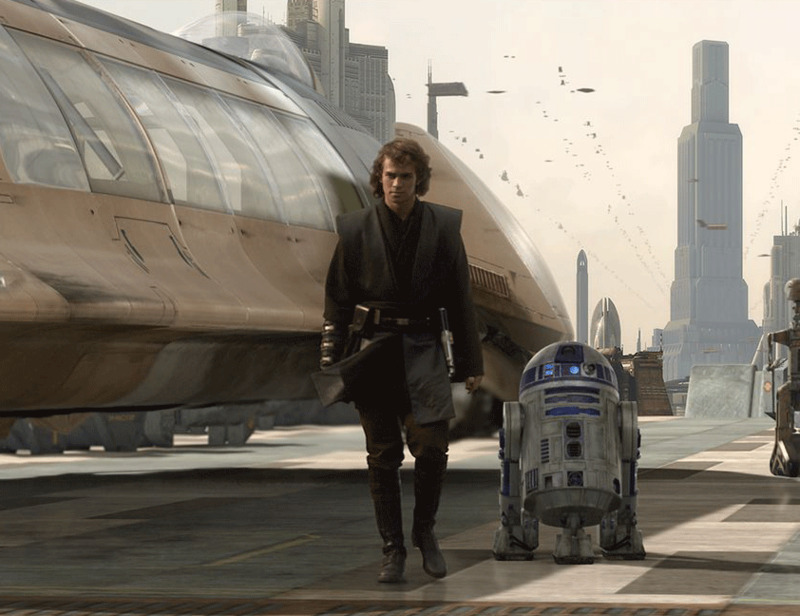 20) “Now let’s see if we can’t figure out what you are, my little friend.” – Even in the original film, R2-D2 is shown to know more than he is willing to admit. He is adamant about finding Obi-Wan Kenobi so that he can give him the message from Princess Leia. Yet he never explains any of his actions to C-3PO, who just tags along oblivious. Unlike C-3PO, whose memory is erased on the order of Bail Organa at the end of Revenge of the Sith, Artoo still has information regarding some of the key goings-on in the Prequel Trilogy. For a start, he likely knows that Darth Vader is the real father of Luke Skywalker, and knows that Darth Vader attacked the Jedi Temple, disproving the claims of the evil Emperor. But the biggest advantage of having the droid is his knowledge of Anakin Skywalker. The fact that he travelled with the man who became Vader is fairly significant. As an astromech droid, the least he could have done would be to give the rebels an analysis of his former master’s attack patterns, so that they might have an advantage if they ever engaged him in a dogfight. He could also supply information on locations that are significant to Vader, that may have subsequently become secret bases. Yet the little droid appears to offer no such data, turning the character into a bit of a wanker. 21) “An old friend has learned the path to immortality.” – At the end of Revenge of the Sith, Yoda informs Obi-Wan that his old master, Qui-Gon Jinn has discovered the way to return as a weird blue ghost person, and that Obi-Wan should train under him as he watches over the young Luke Skywalker. 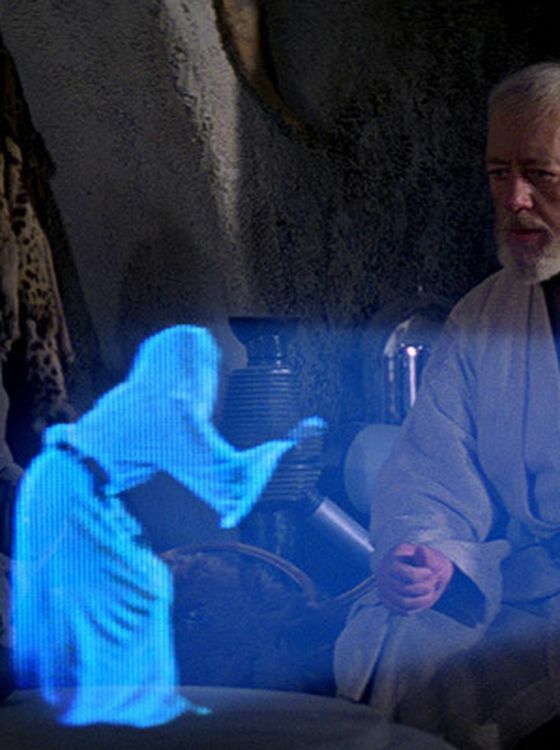 However, if Obi-Wan had been able to communicate with his former master, would he not have introduced him to Luke at some point? Why does Obi-Wan want to go it alone? 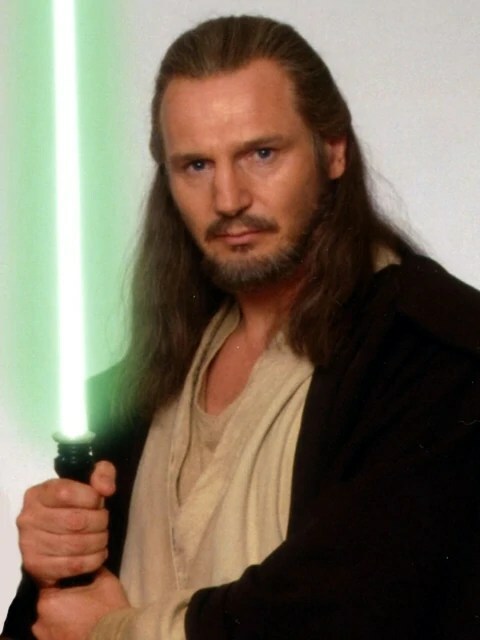 Even when Luke does meet Master Yoda, would it not make sense to have brought Qui-Gon as a third teacher. 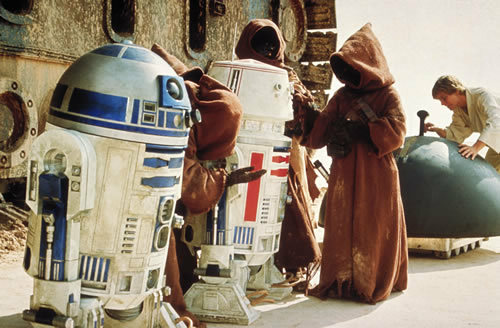 22) “I don’t seem to remember owning a droid.” – In A New Hope, R2-D2 claims to belong to Obi-Wan Kenobi. Obi-Wan, however, has no recollection of owning a droid. Of course, in the prequels, we find out that he has no reason to think the droid ever belonged to him, because it didn’t. Having said that, he does seem to use a number of astromechs. Whether this counts as owning, however, is debatable. 23) “Your powers are weak, old man.” – There’s no denying that the duel between Obi-Wan and Darth Vader in A New Hope is less than impressive. George Lucas has tried to explain this by stating that the two combatants were well past their prime. Obi-Wan is an old man, and Darth Vader is largely mechanical, forsaking his former agility. But the Prequels simply don’t reflect this idea. First of all, both Count Dooku and Darth Sidious are old men (perhaps Qui-Gon as well), but this has no impact on their skill with a lightsaber. 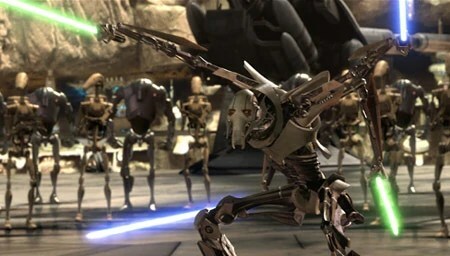 Secondly, General Grievous is almost completely robotic, and yet his agility seems to have been greatly improved by this. This is clearly just another half-assed explanation from George. Of course, but I think the purpose of the EU should be to create interesting stories outside the films, not to clean up discrepancies left by George Lucas. I’ve delved a fair bit into the EU, but casual fans of the films should not have to go looking for answers outside them.